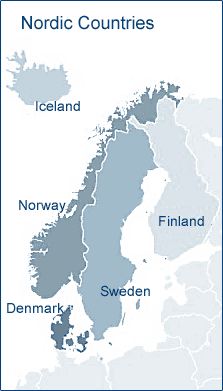 Welcome to the web site of The Scandinavian-Nordic Section of the Combustion Institute (CINS). The Scandinavian-Nordic Section was formed in fall 1999, and is a joint section for all the Scandinavian-Nordic countries. The Section organises yearly meetings on various aspects of Combustion, hosted by one of the Scandinavian-Nordic member institutions. The Section is engaged in both the European and the International activities of The Combustion Institute. The Combustion Institute is an educational non-profit, international, scientific society whose purpose is to promote and disseminate research in combustion science. The purpose of the Institute is carried out by its members. The members of the Institute take an active role in planning the events held by the Combustion Institute and arranging for publishing its volumes and journal. Women in Combustion (WiC) is a subsection of the Combustion Institute and is made up of industry professionals, students, professors and government workers whose goal is to promote and advance women in the field of combustion. The WiC homepage provides further information on how to join this network. Current advances in numerical combustion continue to have a great impact on combustion science. These advances allow to address engineering problems with increasing complexity in a wide range of applications such as propulsion and transportation, power generation, environment, waste disposal, safety (fires, explosions), or material synthesis. At the forthcoming Seventeenth International Conference on Numerical Combustion, ongoing research and current advances in the field of numerical combustion will be presented. These include the integration of theory, modeling and numerical implementation to perform high-fidelity simulations of fundamental combustion physics and technological applications. The goal of the conference is to be a premier venue for researchers and industry practitioners to share new ideas, research results, and development experiences in these fields. Focusing on bridging the gap between combustion principles and applications, the workshop aims at bringing together leading and worldwide recognized researchers to give talks and present posters at the cutting edge of combustion science and technology, to foster research, exchange and collaboration. Selected contributions will be suggested for publication in a Special Issue of the Journal Flow, Turbulence and Combustion.